Check out this amazing Radio King set I just picked up. I traded a green sparkle Ludwig set to a pretty major record producer in LA for it. 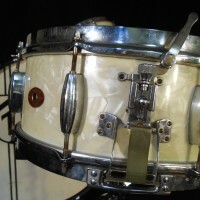 The set is a 24,12,13,16 with a matching Radio King snare. 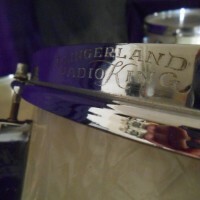 Original Slingerland RK calf heads all around. Very minor fading and a little pitting on the lugs. Otherwise near original condition. 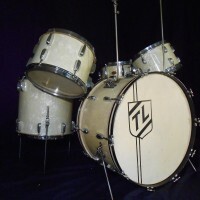 I just posted it to the Donn’s Drum Vault webpage on this site. Here’s the link.